Pianist Lucy Parham is known for her composer portrait evenings, combining music and spoken word and presented in collaboration with distinguished actors, with portraits of Robert & Clara Schumann, Chopin, Liszt and Debussy. 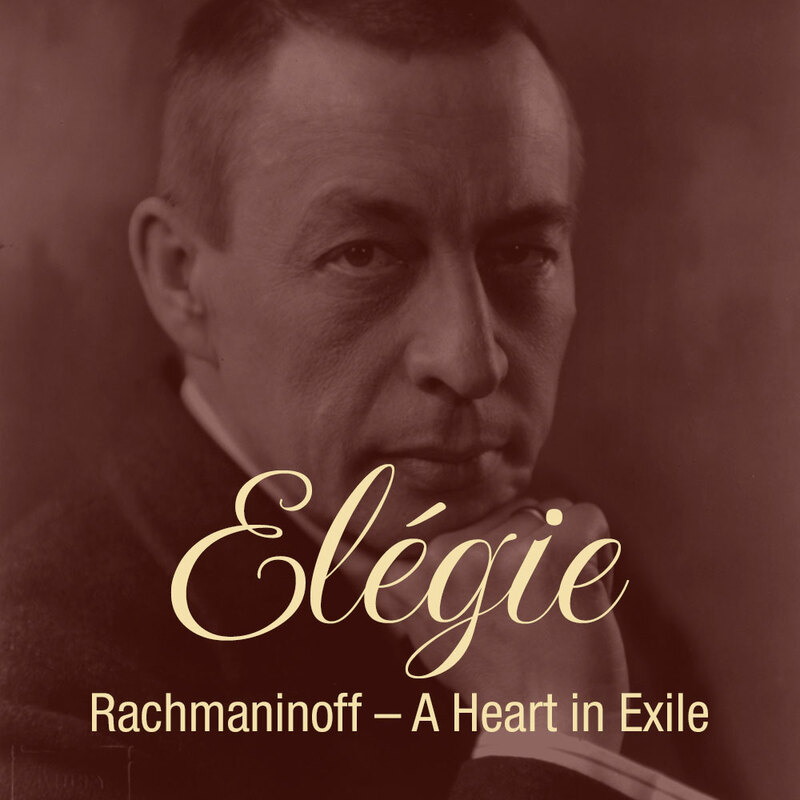 Her fifth portrait, Elegie: Rachmaninoff, a heart in exile, with actor Henry Goodman, has just been issued on the Deux-Elles label. She explained that the Rachmaninoff portrait differs from her previous programmes in that Rachmaninoff did not have a turbulent love life around which to base the evening (he was in fact happily married to his cousin Natalya). Having played a lot of Rachmaninoff's music Lucy was struck by its inherent pathos and sadness, so that with Elegie, Lucy looks more at the soul of the man. When I comment that much of Rachmaninoff's music seems to be gloomy, Lucy laughs and adds that this is an understatement; yet it is something she bore in mind when planning the programme. A lot of Rachmaninoff's music was written before his (self-imposed) exile, but there is still a deep sadness to it. Yet, in his recordings, Rachmaninoff himself played it in rather a cold detached way, concerned that the music might speak for itself. We agree that Rachmaninoff would not like the modern 'heart on sleeve' way of performing his music and Lucy feels that we pull the music about at our peril, commenting that it is like adding extra whipped cream to a chocolate sundae. 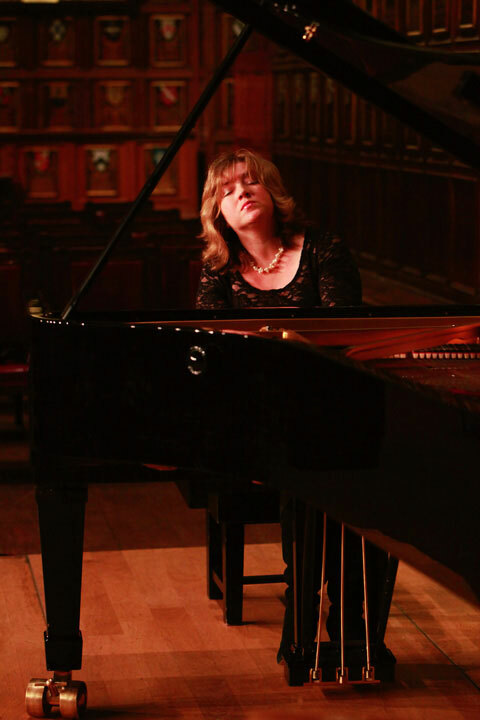 Lucy has always loved Rachmaninoff's music, ever since she first heard Rachmaninoff's Second Piano Concerto as a girl and thought 'goodness, can I every play that'; in fact, she did and has chalked up around 20 performances. And it isn't just the piano music, she loves the songs and symphonies and refers to the clarinet solo in the second movement of the Second Symphony as 'something out of heaven'. Rachmaninoff was very classically trained as a pianist, his teacher Nikolai Zverev was very very strict; the young pupils (only six of them, all young boys) were up at six am and training was full of physical discipline. Zverev did not just teach them piano, he provided general tuition too. And he could not understand why Rachmaninoff wanted to be a composer so that Rachmaninoff left Zverev when he was 16 which led to a complete breakdown in their relationship. 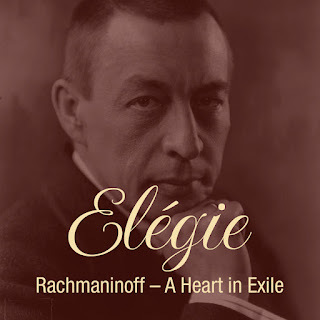 Like Lucy's previous composer portraits, Elegie: Rachmaninoff, a heart in exile mixes piano solos with the narrative. 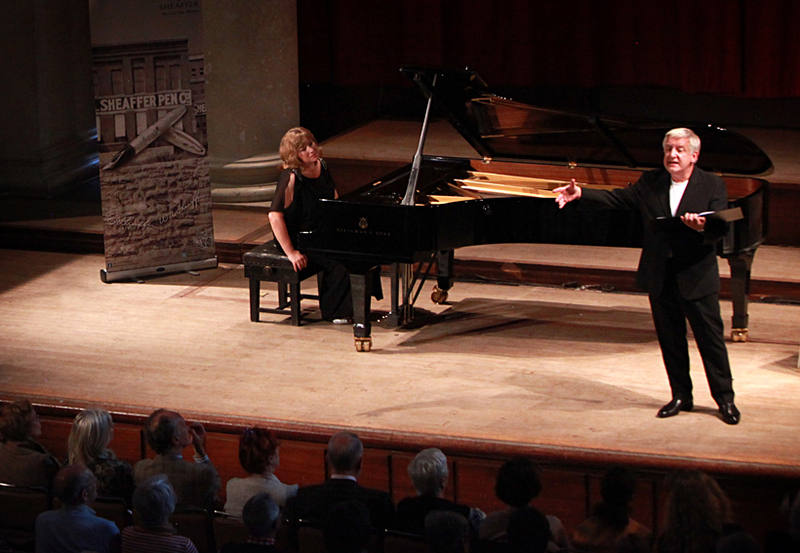 The programme is arranged as the old man reflecting on his life and reminiscing, and Lucy feels that it is important that the audience feels they are in the room with Rachmaninoff, and Lucy thinks that Henry Goodman really inhabits the part. And he impersonates not just the composer but Nikolai Zverev, Tolstoy and Tchekov. Lucy explains that both Tolstoy and Tchekov were huge influences on Rachmaninoff. Tolstoy's was negative, he did not like Rachmaninoff's music, but Tchekov was very supportive, saying of the teenage Rachmaninoff that 'one day he will be a great man'. Other important characters are Kreisler (with whom Rachmaninoff performed at Carnegie Hall), and Diaghilev. Lucy's composer portraits form quite a focussed genre, for a start she has to consider composers who wrote a substantial amount for the piano (so Wagner would be out). Secondly, to keep the programme portable she sticks to quite a pared-down line up with just herself and one or two actors. With more people involved it would be harder to arrange suitable dates. She enjoys working with Henry Goodman (with whom she has also recorded Richard Strauss' Enoch Arden) likening what they do to chamber music. The original idea for the composer portraits came out of nowhere. She had done a lot of piano music by both Robert and Clara Schumann, and as a child was obsessed with both the Schumanns (she adds that she must have been a slightly strange child!). She also read Robert and Clara's marriage diaries and sometimes would read extracts to the audience. Lucy was on the Making Music (NFMS) Young Artists scheme and did lots of music club concerts where the performers were encouraged to talk to the audience. Lucy was rather transported by Robert & Clara's letters and so started reading bits to the audience. Theatre had always been a passion, and somehow the portrait of Robert & Clara Schuman, their marriage and relationship with the young Brahms appeared. She feels that she started with the best story first, and there is so much material she could re-do the piece with all different. She also feels that there is a case for doing a portrait of Brahms on his own, that there is more to be explored there. Having produced the Robert & Clara Schumann portrait, people wanted more and she did Liszt, then Chopin, then Debussy and now Rachmaninoff. She does all her own research and chooses the music. It is hard to get the balance right first time, and the process of honing the script involves doing a lot of early performances in small venues and welcoming feedback. The programme on Debussy worked well, Lucy feels, thanks to his lively love life, Lucy refers to him as a bounder and a cad; in fact, he wasn't a great looker and Lucy feels that it was his talent which drew the women in. Lucy tends to focus on one aspect of the composer's life so that it can be explored properly rather than just tickling the surface; so with Liszt, she concentrated on just the two major women in his life. The idea is that if people are interested, then it will inspire them to explore further and read biographies, after all the idea is for the evening to be entertaining and however sad the story there needs to be humour too (even in the Rachmaninoff portrait). 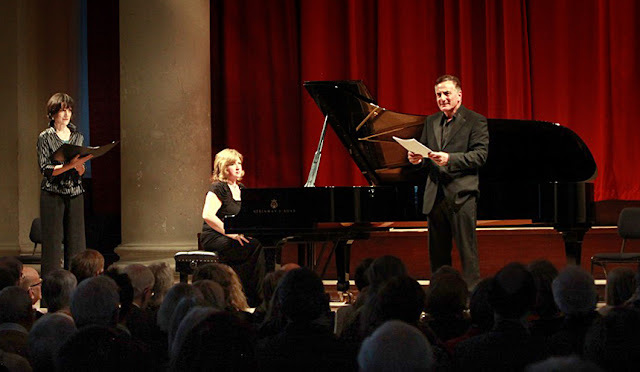 Though Lucy does a lot of performances of her composer portraits, she still does conventional recitals too and recently did a recital at Kings Place. At the moment the balance has shifted towards performances of the composer portraits, but she feels that it is moving back. 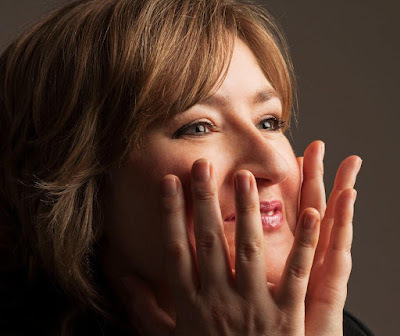 During the 1990s and 2000s she did a lot of concertos, gruelling tours with orchestras; looking back she describes the period as really full on and tough, and wonders whether she would want to do it now? The advantage of the composer portraits is that they are very sociable, she performs them with a variety of different actors and has met some amazing ones, people that she really admired in the theatre and is honoured to share the stage with. The evenings also reach out to a different audience, people might come to see a specific actor and find themselves drawn into the music or vice versa. It is also important for Lucy that the evenings are moving and entertaining, and that the music performance has great integrity. She never uses excerpts, on only includes movements from two works in the Robert & Clara Schumann evening. She has plans for another composer portrait, to be launched hopefully next year. For the recording of the Rachmaninoff composer portrait, Lucy produced the disc for the first time. And the disc is subtly different from the live show, they include a snippet of Rachmaninoff's Second Piano Concerto and there are discreet sound effects so that it becomes a little more like a radio play. Lucy will be performing Rachmaninoff's Piano Concerto No. 2 next year and is finding it fascinating returning to the work after something of a gap.